It has been 4 years since we started doing events for the underground scene. With much appreciation to all who believed in us from the beginning, this party is for all of you! Free Entry right at the heart of Clark Quay, with cheap drinks @ $5 onwards. Come celebrate with us at Get Juiced! The magical date will be April 20th. Featuring the top 4 Psytrance Artists of 7Colours Records. Singapore's No.1 Tribal Progressive Psytrance Producer. Spearheading the best Underground Events for 4 years running. The Founder of Rainbow Productions and Owner of 7Colours Records. 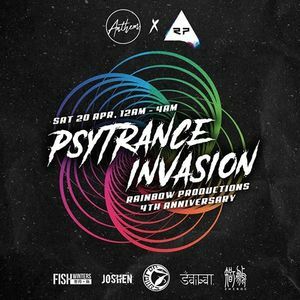 Fish, a released artist on Spotify will once again showcase psytrance to the mainstream population of Singapore Nightlife Industry. Having spun alongside several international psytrance acts (Wikileadz OVNI RECORDS, Tropical Bleyage DACRU Records, Happy and Sion YAPAII RECORDS, Gammer, Headhunters, Devin Wild, etc) locally and internationally, this year he is invited to Wisconsin USA to spin for another Psytrance Festival and his USA DJ tour. Get ready for a set of Tribal and Mantra vibes this 420!!! One of Singapore's top Trance Producers and Owner of 7Colours Records. A Spotify released artist, Joshen’s first interest for DJing came about when he was just 13 years old and landed his first gig at Home Club in 2013. He has since played at esteemed venues in Singapore (Zouk, Canvas, etc) for a countless number of local and international nights, including overseas events in KL and Bali. Joshen specialises in playing trance sets, both opening and peaktime, and takes the crowd by surprise with his technical skills and showcases seamless progression in his sets. Not limiting himself to trance, Joshen has been pushing himself and expanding his boundaries to open-format hard dance sets and taking the hard-dance scene by storm. He has spun and supported International Acts like Aly & Fila (Mao and Avry), ReOrder & Ferry Tayle (Hood Bar & Grill), Max Graham (Canvas), Driftmoon (One Altimate), Solarstone & Indecent Noise (Home Club). One of Singapore's Top Hi-tech/Dark Psytrance Producer, Saibat has been making alot of noise and name for himself over the past year ever since he joined Rainbow Productions in 2017. 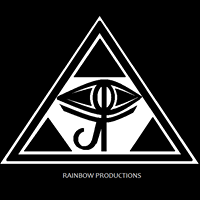 A former senior NPDJ representative and now a promising Spotify released artist and General Manager of Rainbow Productions, his sounds have spread far and wide with his gigs locally and internationally. 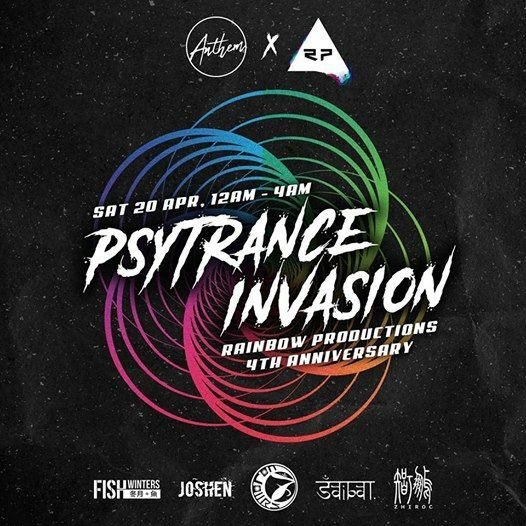 He had been invited to spin for a Psytrance Festival in Penang and also spun in Bangkok alongside Wikileadz from OVNI records and DJs from DACRU Records. If you like your psytrance fast and dark, this is the best you can find within 7Colours Records. Full-On Maestro Artist of 7Colours Records. ZhiroC comes from a wide variety of mainstream genre history. He has even spun for Chingay Afterparty on the Marina Bay Float!! Having selected and spun for G.O.D spinoffs, chosen to be a part of 7Colours Records, he has produced a number of tracks worthy of Spotify Release. Having remixed a number of tracks from Charlie Puth, Black Pink, etc, into psytrance edits, his creativity just never ceases to amaze everyone. The youngest producer of 7Colours Records, will be debuting his first mainstream gig after spinning for more than a year in underground events.